Barcelona are reportedly said to be planning a surprise move to sign Marcus Rashford from Manchester United ahead of the 2019/2020 season. The England international has been a quality performer for the Red Devils since graduating from the youth ranks three years ago, but his future remains a talking point with the current deal expiring in 14 months' time. According to The Mirror, the Blaugrana are prepared to make an effort to sign the United graduate as they seek a long-term replacement for Luis Suarez in their ranks. It is added that the Catalan giants could pay as much as £100m for the attacker as they seek to convince United into parting ways with the highly-rated forward. Rashford's current deal at United expires in the summer of 2020 but the club have the option of prolonging his stay by a further year with the means of an extension clause. 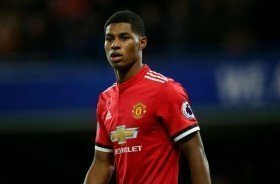 A recent report from The Times indicated that United could be prepared to quadruple Rashford's £75,000-a-week salary to ward off overseas interest, but so far, there has been no confirmation regarding any sort of agreement.